Quest Academy's public consultation ran from 14th November - 23rd December 2016. The Executive Summary of the report along with more information about the consultation can be found below. The Section 10 Consultation Report was presented to the Secretary of State for Education, by MacIntyre Academies Trust in respect of the Free School Application (for Quest Academy, Rugby) to aid the decision on entering into a funding agreement with the Trust. This report relates to the public consultation which took place between 14th November and 23rd December 2016. The overall response from the public consultation period indicated that the majority of respondents support the establishment of a new special academy by MacIntyre Academies in Rugby. Although one local resident expressed concern about the proposed site of the school, positive feedback from both educational professionals and parents and carers show that there is a need in the area for a special free school (Quest Academy). Key concerns raised at the pre and consultation stage were by local residents who were resistant to the location of the school, as they felt that it would lead to increased traffic and congestion. MacIntyre Academies Trust have worked with the Education Funding Agency (EFA) to develop plans for the school site to limit congestion caused by pupils and staff arriving to school. This on-going consultation has played an important part in shaping the project so far, and if Quest Academy, Rugby is approved, discussions will continue until the school is opened and beyond. An important step in opening the Free School is the signing of a Funding Agreement. This is the contract between the school’s Trust and the Secretary of State for Education – it outlines how the school must operate in certain areas, the obligations placed upon it by the Government, and key Guidelines and Codes it must adhere to. Without the funding agreement the school cannot open. Section 10 of the Academies Act 2010 requires the Trustees to carry out a consultation before the Funding Agreement can be completed. The Act places a legal obligation on MacIntyre Academies Trust to consult interested parties on the content of our proposed funding agreement, our intention to enter into it with the Secretary of State and, by extension, our plans to open a free school which is bound by it. This consultation document outlines key questions that the Trust thinks people should consider, the process by which people can respond, and what will happen to responses. A new 80 place special school for children and young people with Autism and/or social, emotional and mental health needs, aged 9 to 19 is to open in September 2017. The schools will operate from a temporary site out side of Rugby for the first year, with plans to move to a permanent site in Rugby in September 2018. 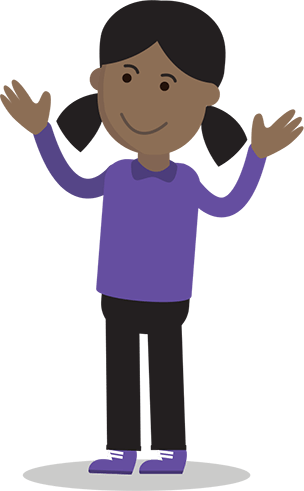 Quest Free School will admit children and young people who have an Education, Health and Care (EHC) plan. School referrals will be through the Local Authorities who have named the school in individual children’s EHC plan. The school will ultimately cater for children in school years 5 to 13, but will open with children in years 5 to 10. This includes children in the last two primary years (from age 9 years). The school, which will cater for boys and girls is expected to reach full capacity in year 3. Approximately 20 places will be reserved for children within the sixth form. The need for this school has been identified by Warwickshire County Council as there are insufficient specialist school places within the county. There are a significant number of children and young people placed outside of the County (risen from 3.9% in 2009 to 8.5% in 2013 – Warwickshire County Council SEND needs analysis). Many parents and carers have told us that they would prefer their child to be in a school as close to home as possible. MacIntyre Academies is a Special Academy Trust that already operates special academies in Oxford and Nuneaton. MacIntyre Academies is sponsored by MacIntyre, a national charity founded in 1966 by the parents of a disabled child. With over 50 years of experience in providing specialist provision for over 1,000 children and adults with learning difficulties and autism across the UK, MacIntyre has developed a strong reputation nationally, as a high quality, person centred organisation. It is proposed that the new Free School site be a new building erected on the redevelopment of the Rokeby Primary School site. This is part of a plan to develop that school and build another Secondary Free School on the site. Information on the planning application for these buildings will be released by the EFA soon. In essence, Free Schools are publicly funded state schools but are independently managed with oversight from local people and families. Each operates in accordance with a funding agreement which is agreed directly between the school and the national Education Funding Agency, which operates on behalf of the Department for Education. The school and its Trust then work in close partnership with the Local Authority to ensure that the provision meets the need of the children and young people and their families, and provide best outcomes. Free Schools are established in a way that is intended to be "creative" and "innovative" in order to give them the freedom considered necessary to deal with the long-term issues they are intended to solve. Funding Arrangements - In principle, Free Schools receive the same level of per-pupil funding as they would receive from the local authority as maintained schools, plus additional funding to cover the services that are no longer provided for them by the local authority. However, Free Schools have greater freedom over how they use their budgets to best benefit their students. The principles of governance are the same in Free Schools as in maintained schools, although the governing body has greater autonomy. Free Schools are required to have at least two parent governors. Free Schools are required to follow the law and guidance on admissions, special educational needs and exclusions as if they were maintained schools. Free Schools have to ensure that the school will be at the heart of its community, collaborating and sharing facilities and expertise with other schools and the wider community. We believe all young people, regardless of learning difficulty, deserve the best education possible. We want our students to be ambitious for themselves and we need to be ambitious on their behalf. Therefore our aim is to deliver an ‘outstanding’ school with outstanding outcomes. A school which is truly family centred with education individualised to each child/young person. Quest Free School will provide a healthy, safe and enjoyable environment, with excellent teaching and learning and a focus on high quality personalised education and support. It will evolve according to local needs, and parents/carers will be encouraged to be fully involved and connected from the outset. This project will be run in close partnership with Warwickshire County Council. By understanding and responding to the current and future requirements of local young people, the school will be a centre of excellence within the County, with a national reputation. Quest Free School will ensure that children are safe, healthy, contribute positively to their whole community, and are set up to achieve economic and academic well-being in adult life. Importantly, all students must enjoy attending school. The school will provide a curriculum designed to follow a personalised learning approach, providing flexibility to meet the needs of all students. The school aims to know every child and young person as an individual, where their interests lie and what motivates them. This is key to their success and happiness, and to the success of the school. All responses received will be read and considered by the Trust Board directors, and will be documented in the consultation’s Summary Report. This will be submitted to the Secretary of State to allow her to consider it as she draws up the Funding Agreement for the school. A summary of the findings will be published at a later date on the MacIntyre Academies Trust website.